l-r-parts-ltd has no other items for sale. A good quality product at a very reasonable price. I can confidently recommend it. Cured a long term problem with my LandRover! 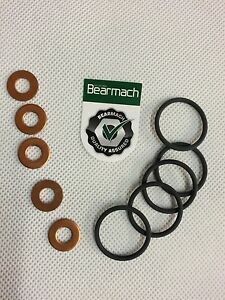 These seals I had fitted by my local Land Rover garage, the mechanic seemed surprised that the rubber seals were black as he said normally they are coloured Red when supplied by Land Rover, he was concerned they would fail, but they have been in a week now and so far so good. Nice fit. Fixed my problem for å very Nice price !